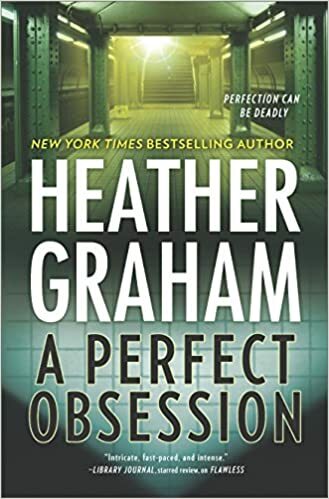 Heather Graham has released another amazing suspense novel in the New York Confidential series. A Perfect Obsession is the second book in the New York Confidential series and it will start off where the first book ended. Kieran Finnegan has continued in working with the police force about certain cases needed. And there is one case that definitely pipped her interest, especially it involves her brother too. Her brothers are typically getting her trouble in her career and her relationship too. She has taken a big step with Craig by thinking about moving with each other. It is definitely great news for them but it does create a friction in their relationship whenever Kieran helps out her brother when it is not the best option. Craig is definitely on the case about discovered bodies around the New York locations. However, he has a hutch feeling about these cases that it is going to take more finding in discovering what is the motive and who is the suspect. However, things are going to become complicated when he discovers that Kieran brother is involved with the case. It is going to take his patience in unraveling this complicated case without the media getting too involve neither. This case is very interesting from the start. Everyone is a suspect that it is going to take some time to find out who it is. And trust me, it is definitely surprising who it is.